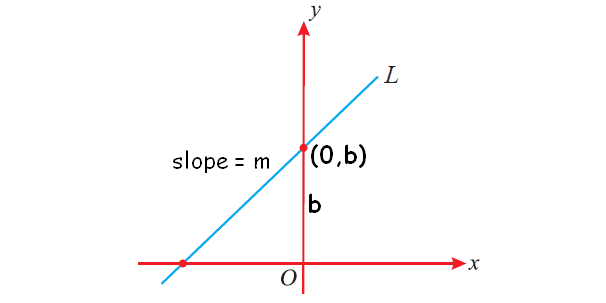 Here "m" stands for slope of the line and "c" stands for y-intercept. To find the slope and y-intercept of the line, we have to change the given equations in slope intercept form. Find the slope and y-intercept of the straight line whose equation is 4 x - 2 y + 1 = 0. Find the slope and y-intercept of the straight line whose equation is 3 x - 9 y + 3 = 0. Find the slope and y-intercept of the straight line whose equation is 5 x + 7 y + 1 = 0.